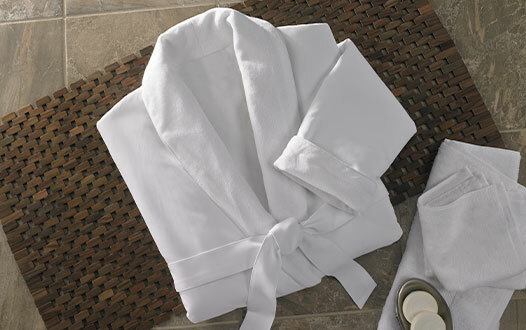 Revel in our sumptuous Waldorf Astoria hotel robe featured in a classic hotel white. The soft touch of premium microfiber and cozy terry cotton combine to envelop you in warmth and relax your senses. The silhouette features a shawl collar, two patch pockets, and an adjustable self-tie belt. Seamlessly transition from serene dreams to daytime. 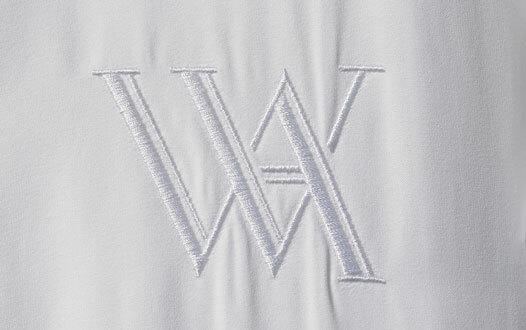 Available with or without the iconic Waldorf Astoria logo.